Comedy series “Brockmire” is now casting for new season in the Atlanta area. The show is filming in Atlanta and is looking for talent to work as paid extras in upcoming scenes. Atlanta area casting directors at ECA are now taking submissions from local extras who would like to be considered for the small roles. See below for all the details. “Brockmire” is based on a character that Azaria created a long time ago and has been seen in Funny or Die viral videos on the web. 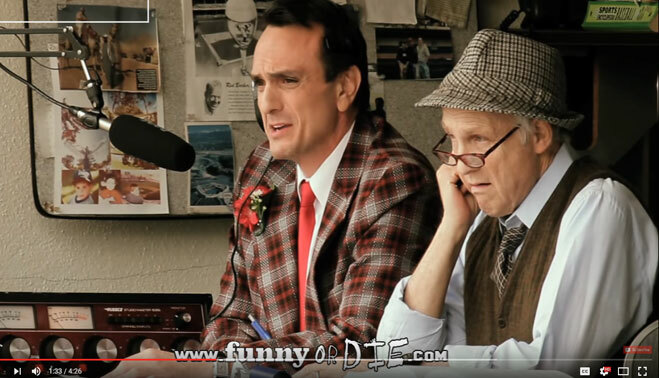 Hank Azaria will star as Jim Brockmire, a famed Major League Baseball announcer (Think Vince Scully) who had a major meltdown on air which put the brakes on his career in the major leagues. A decade after his public meltdown, Jim Brockmire wants back in the game and chooses to get a job as a baseball announcer for a minor league baseball team called the Morristown Frackers. Amanda Peet will be playing Julie, the owner of a small town minor league team located in a place people are dying to leave. The comedy series is written by Joel Church-Cooper and will be directed by Tim Kirkby (Veep). According to THR, Hank Azaria is serving as one of the show’s executive producers with Church-Cooper, Kirkby and Funny or Die’s Mike Farah and Joe Farrell also exec producing the series. The show is in production right now. LOL, the casting notices actually get updated with the new casting needs, the original show descriptions… not always updated. The casting notice is current. The description is most likely for last year. Will fix it. Thanks for the heads up! Erica: sorry for the accidental double posting! Really? Then why is the show casting now – a year later? I already replied. The original description was added, probably for the pilot. The notice does say season 3. I tend to update existing notices and missed that. It is a casting notice for season 3. Would like casting notices for background actors.